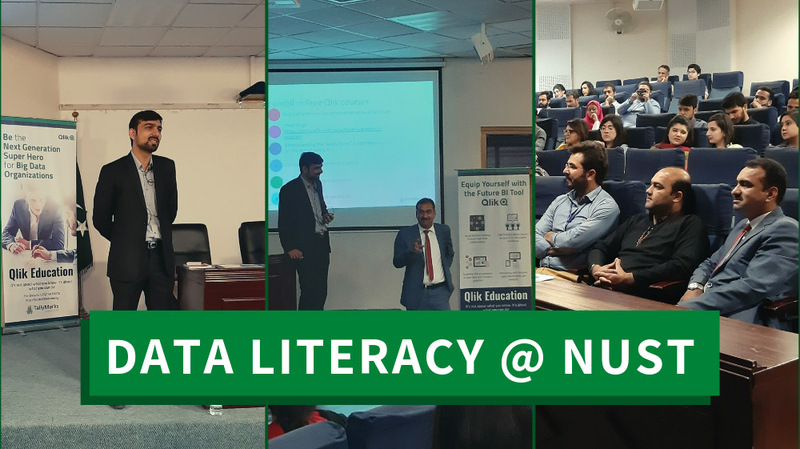 TallyMarks Consulting delivered a guest lecture on Data Literacy at National University of Sciences and Technology Business School (NBS), Islamabad. The purpose of the interactive lecture was to make the bright business students aware of the fact that data is now coming at us from all the angles and as a result, an interactive dashboard is required to visualize the collected data. The students were taught that in order to create meaningful dashboards, they have to gradually develop the skill of data literacy that involves the ability to read, understand, create and communicate data as a piece of information. 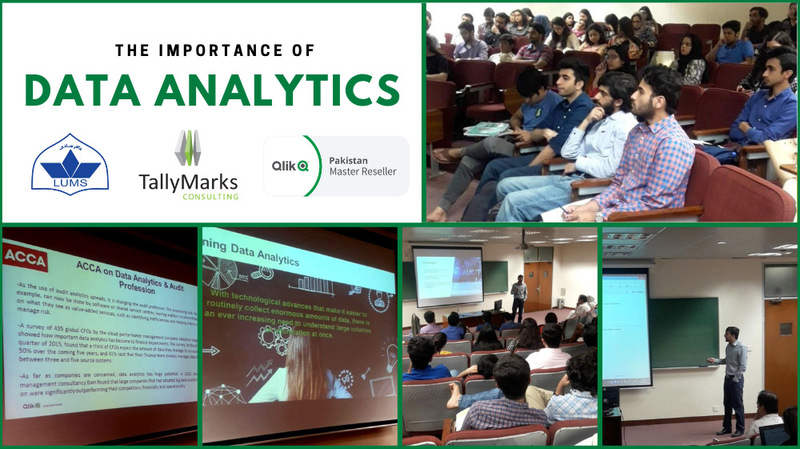 Students of NBS were also made to understand how Qlik is a user-friendly analytics tool as it requires a user to simply load data and build analytics with drag-and-drop simplicity. It was also demonstrated in front of the students that the effective use of analytics tool greatly helps in analyzing huge reams of data and finding patterns and correlations that would usually go unnoticed to human analysts. The session was concluded with an interactive brainstorming session with the students that once again focused on making the students understand that without learning data literacy skill, we will be playing with only vague data and information.